Saint Ignatius Loyola School is under the auspices of the Archdiocese of New York. We offer an education to children from kindergarten through the eighth grade. Saint Ignatius Loyola School celebrates the multicultural community reflected in our administration, faculty and students. Saint Ignatius Loyola School also recognizes the important role parents have as the primary educators in their children's lives. 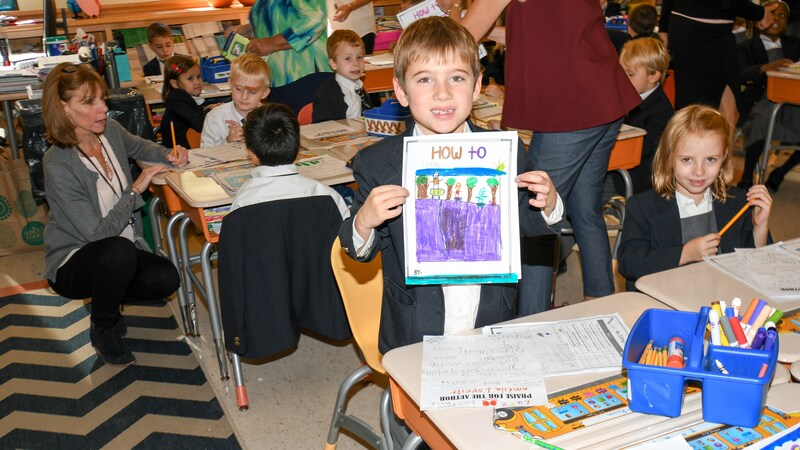 The mission of Saint Ignatius Loyola School is to incorporate the Catholic Christian values as exemplified by Saint Elizabeth Ann Seton and Saint Ignatius Loyola along with high academic achievement, in an environment that encourages enthusiasm for learning. Building on a legacy of carefully planned stewardship, Saint Ignatius Loyola's faculty and administration integrate these Christian values into every area of secular study and activity, so that we send forth children who are committed Catholic Christians who will witness to the Gospel of Jesus Christ throughout their lives. Saint Ignatius Loyola School embraces the responsibility to be of service to the greater community through student involvement with charitable activities. We Are Named a 2018 Blue Ribbon School! Saint Ignatius Loyola School is named a 2018 Blue Ribbon School! Please note the following changes to the schedule for the 2018-2019 school year.